In the past 4 years that I have lived in my home, I had to find ways to make it less “builder-grade” and more like a home. 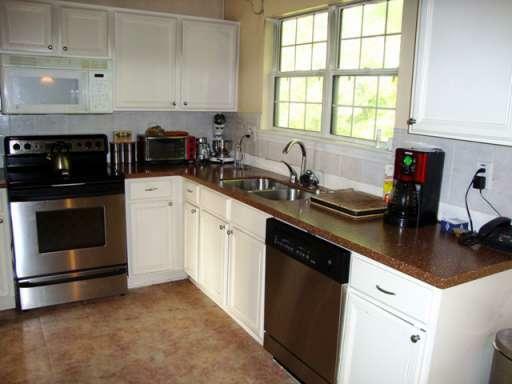 Not that anything is wrong with a “builder-grade home,” but for me, I just needed more. For those of you scratching your head an thinking, “ummm builder what? What the heck is a builder-grade home anyway?” Well to simply put it into my own terms, it is basically a house that a builder mimics throughout a development. 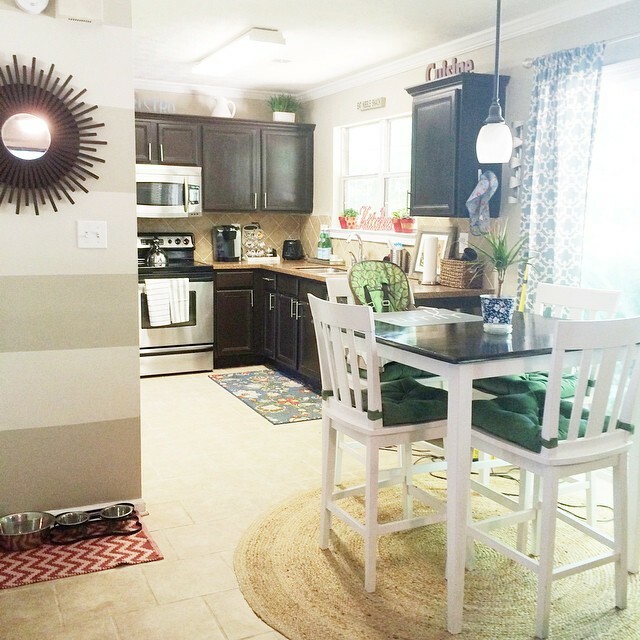 All of the houses come with the same light fixtures, similar layouts, paint colors, carpeting, counters, and pretty much anything else that you can mimic in multiple homes. So what do you give your builder as far the development of your home? I give a B! That’s actually pretty good consider the possible letters that come after B, so kudos to my builder. There are lots of things that I really love about my home, while of course there are things that I have changed, or I am itching to change. I have learned to embrace and appreciate what I have. Don’t get me wrong. I am eternally grateful for my roof over my head, but I don’t think a little change has hurt anyone. 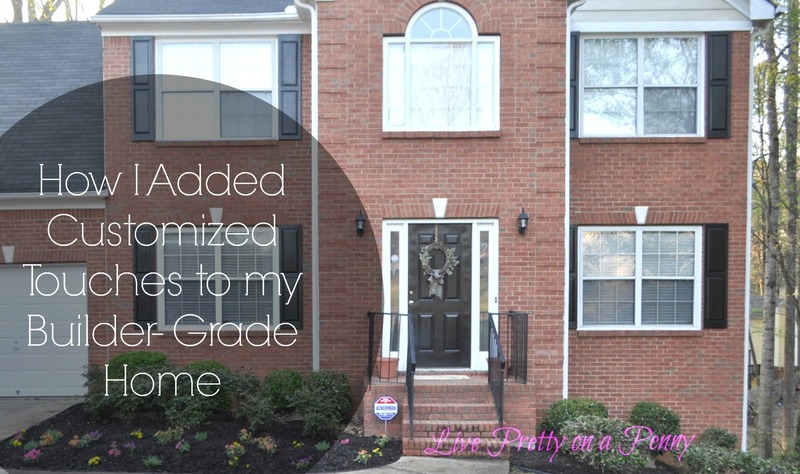 Here are ways that I have added custom touches to my otherwise “builder-grade” home. 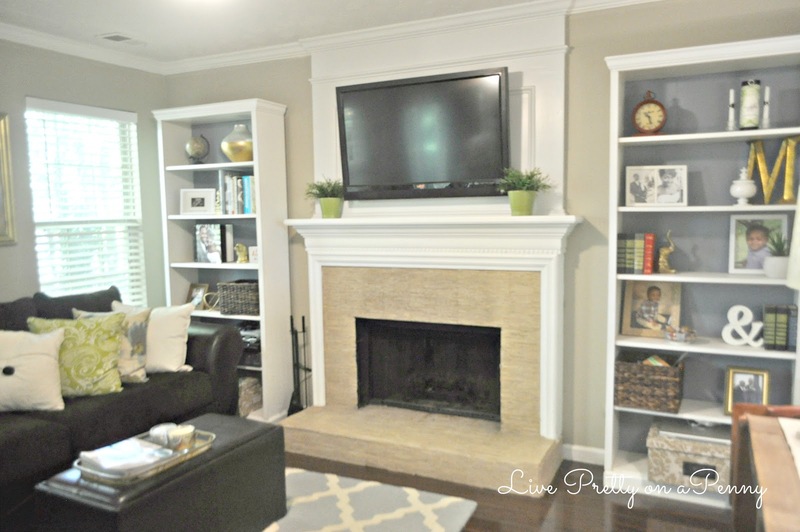 Under normal circumstances, built-in book case are considered custom, premium, or upgrades. 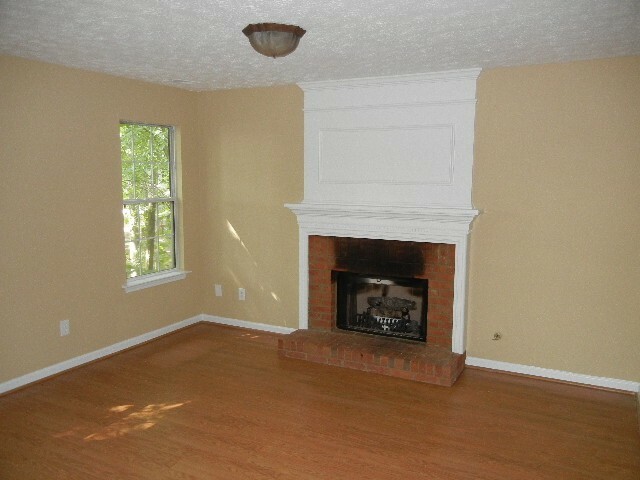 So it was no shocker to me when I moved into my home that I had to figure out something to do with a pretty plain and standard room, especially on either side of the fireplace. I have always loved the look of built-ins and knew that my future home would have to have them. I just had to figure out a way to make it work in this house without incurring a bunch of expense, because let’s be honest, the budget was just not there. Once I discovered my style and slowly allowed the room to evolve, I became more intentional about the things that I added to this room. My love of a “built-in” look never changed. After finding inspiration all over the web, the IKEA Billy Bookshelves stayed at the top of my mind. I found two on Craigslist for $50 and thought I would give it a shot. Its been a couple of years and they are still exactly what the room was missing. Here is the room today. Such a big change. I have a post planned coming up soon where I talk more about the Billy Bookcases, how I styled them and how I customized them. Here you can see how we covered the burnt brick fireplace with Mosaic Stone Tile. 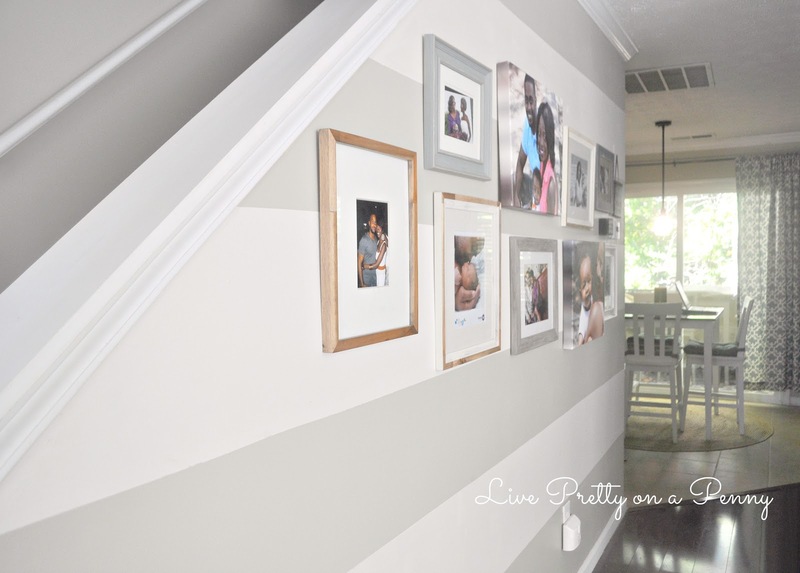 Walls that provide interest to a space can be cheap and easy to achieve. 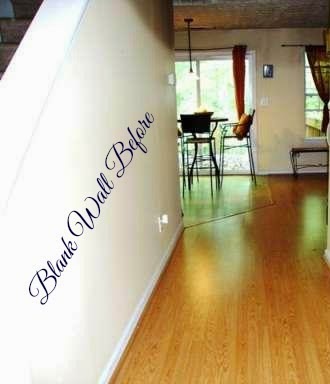 Here are some examples of how I added these walls very inexpensively as a nice custom touch to my home. 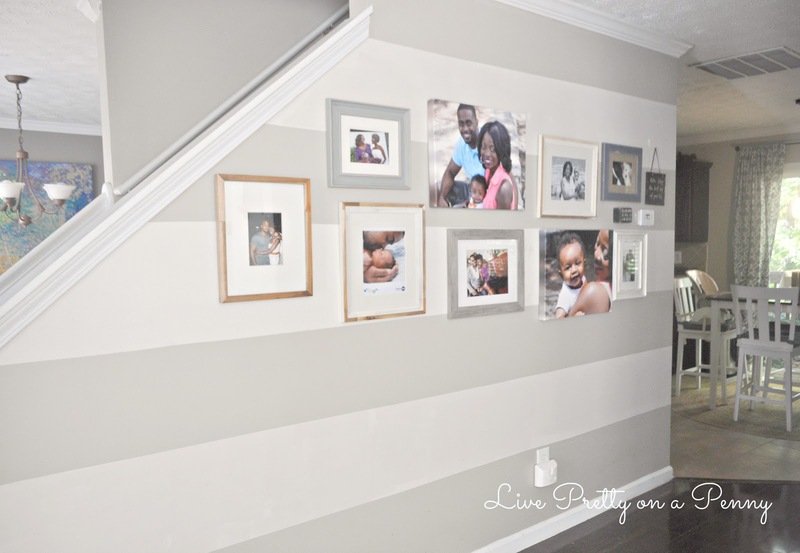 I added a striped accent wall, along with a family gallery wall, to an otherwise plain and blank wall space. 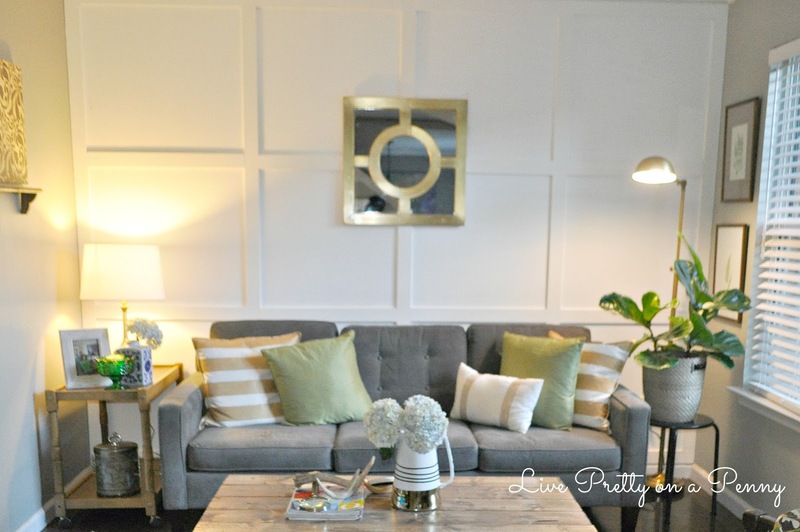 During my living room makeover, I wanted to add the look of custom focal wall that gave a large punch. I think we nailed it with the panel molding makeover. While my bedroom is very well a work in progress, we have been adding touches here and there. Following the lead from our living room makeover, we used the leftover project materials from the living room wall project to complete a similar panel wall in our bedroom. I still have big dreams for this space because while its not super large, I think it can be beautiful. 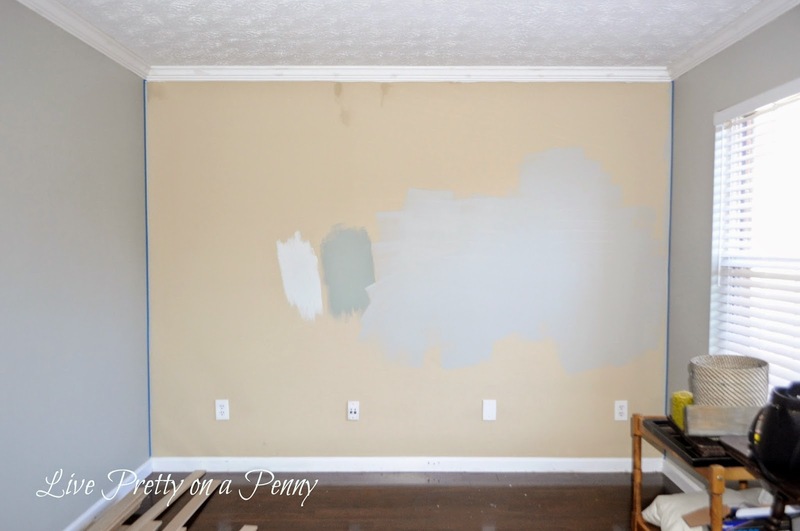 In the meantime, we opted to paint our cabinets using this method. 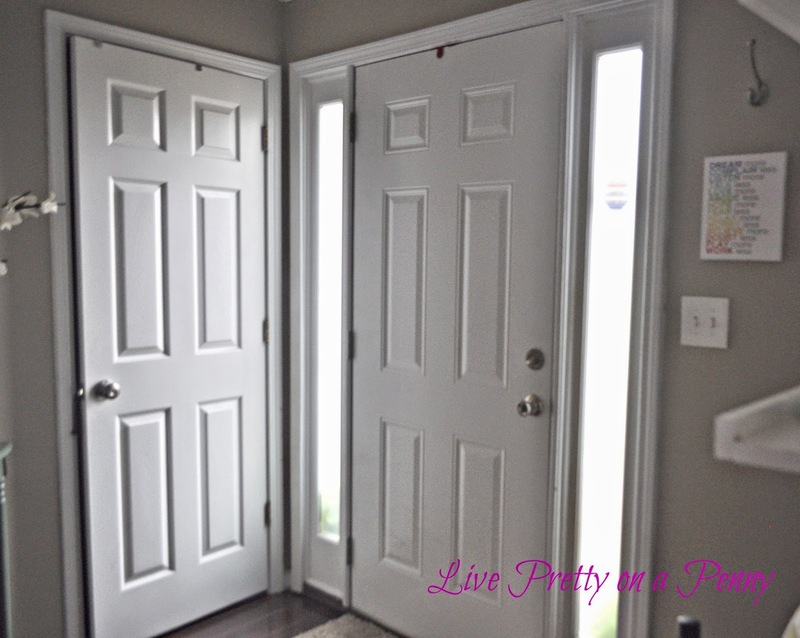 In a standard home, well I know in mine, all of my doors were “painted” plain white. White is not bad of course, however I wanted something a bit more custom and impactful. What I love about the internet is that inspiration comes in all forms, and painted interior doors were no exception. I waffled back and forth between rather I wanted black doors or dark gray. I just felt like for me and my space, black would have been too harsh, but dark gray could work. 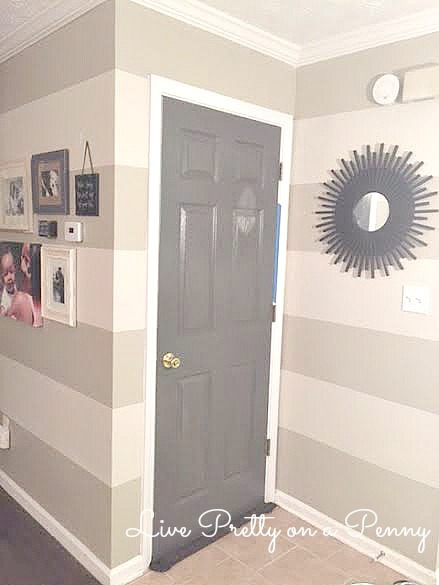 So I took a chance an painted the interior doors on the main level of my home. Like I said, all of my main level doors have been painted, with the exception of the one that leads to my garage. It will be painted soon though. I just love the dimension that it adds to the walls. 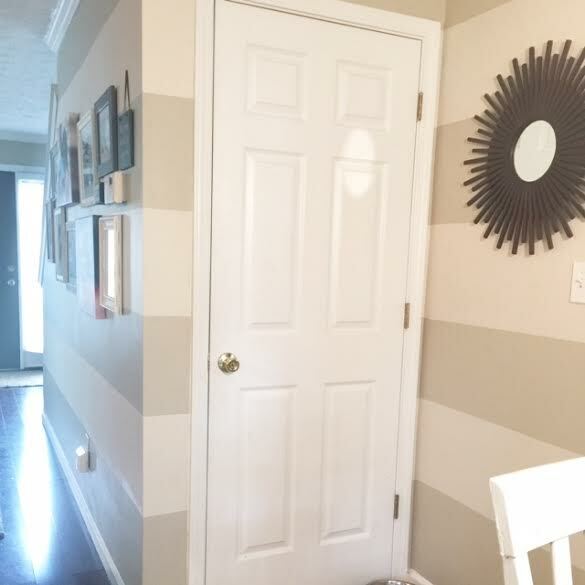 My basement door was recently painted, which again I have to ask myself– what took me so long? Hopefully, you are inspired to get out there and add some customizations to your space. They are super easy and your won’t regret it! What are ways that you have already customized your home? Any other tips or suggestions? As always, thanks for stopping by! Until next time. Home Sweet Home, you really can make it just as personal as you want, only takes a little time. P.S. 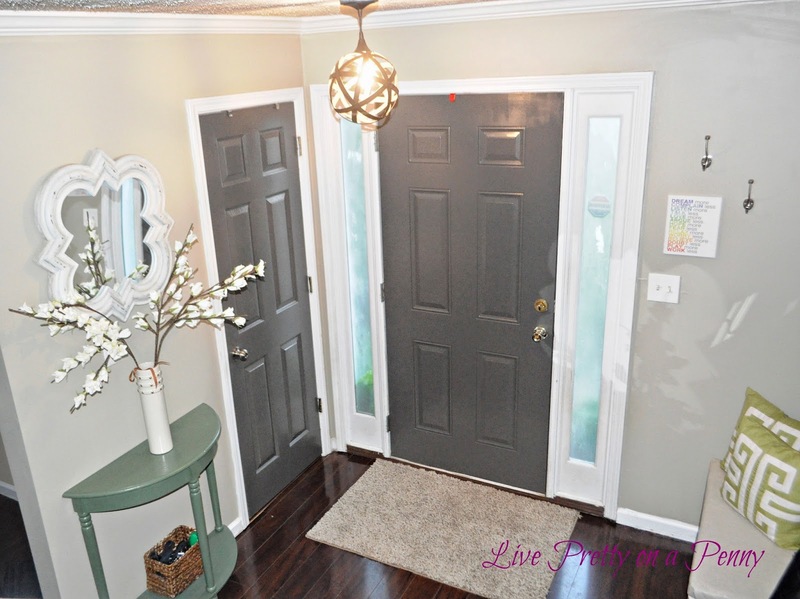 You may have convinced me to paint my interior doors, tired of wiping down the white, ugh. Great personal touches and inspiration! I would like to go through my home and update some of my builder grade area, guess i need to get started! Thank you Alaya. I am sure you can identify with the fact that you just want things to look like you put some thought into it. You dont have much to do, you home looks great! Everything you've done to your home is so wonderful! You've changed a very "regular" space into a masterpiece. Lovely! Wow! Such awesome upgrades to builder basic. I am in the same process. Everything was builder basic. Thank you Heather. While builder basic is cool, its always great to personalize home because its yours and should look how you want it to! Thanks for your comment! Thank you Jamala. I really appreciate your kind words! Thank you Dee. I appreciate your kind words!